I've been living in Amsterdam for over a year now. And still, there are so many places that I want to go to for lunch. But when you're not from this city, it might be hard to find to right spots for a good lunch in Amsterdam. Amsterdam is big, busy and also filled with a lot of not so great lunch spots. 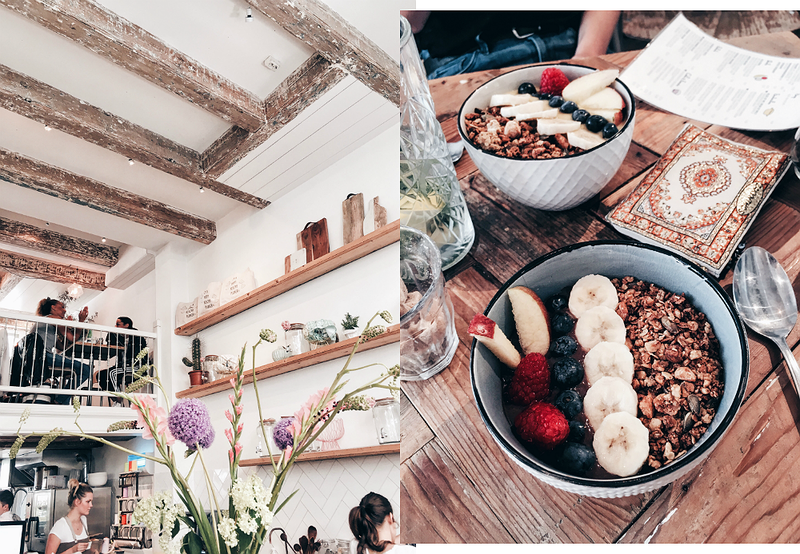 But that's why I'm sharing my favorite spots for a lunch in Amsterdam in this post! If you're a sucker for pancakes, you really want to visit Mook Pancakes. Have a look at their Instagram page. I know right?! Doesn't that just look amazing? Mook Pancakes is located at De Clercqstraat 34 and at Jodenbreestraat 144. Dignita has multiple locations throughout the city. My favorite is the one located at the Hoftuin. You'll find a lot of healthy dishes on the menu, like salads, but they also have delicious American pancakes. Definitely a must visit for lunch in Amsterdam! Going to Amsterdam North? Have lunch at Pllek. It's located next to the water and has a very chill vibe. Especially during summer this is such a nice chill spot. Sit in the sun, enjoy the view and most of all: enjoy your lunch! With one location at the Reestraat and one at the Berenstraat, Pluk is the perfect shop + lunchroom in one. They sell the cutest stuff for in your house, but amazing food as well. If you're not looking for a lunch spot, Pluk is also great for coffee with a piece of pie! Benji's is located in Amsterdam East. When you walk into this great spot for lunch in Amsterdam, you'll be surrounded by plants. The interior looks amazing and so does the food. They have delicious (vegan) salads and sandwiches. And great drinks as well. When you're done walking around the neighbourhood De Pijp, have a lunch break at JACKS. Get yourself a delicious juice together with an avocado sandwich. You'll leave the place feeling healthy and refreshed! 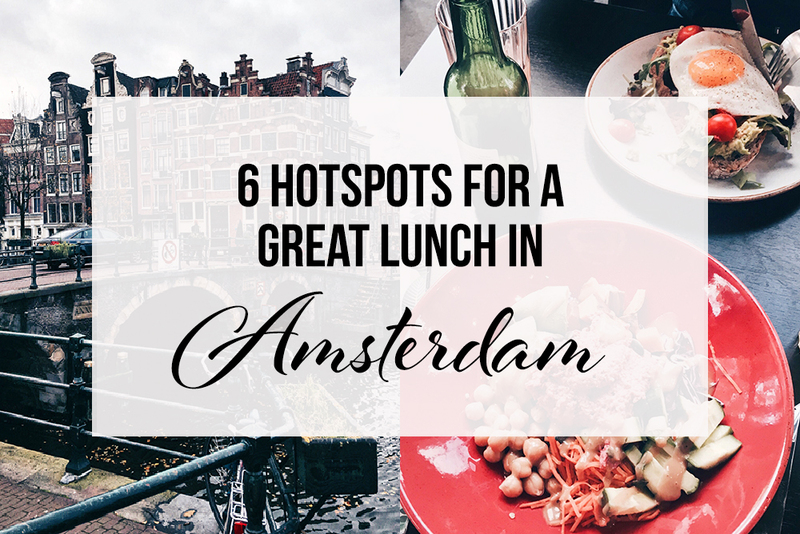 So these are just 6 of my favorite spots for a good lunch in Amsterdam! Hope this post will help you decide on where to go. If you're planning on going to one of these, enjoy! Which place for lunch in Amsterdam would you recommend?